The history behind the winery of Omodos traces back to the ancestors of the Vassiliades family. Cultivating with great passion and having a long relationship with wine-making, they were able to pass on the art to their children, from generation to generation. The father, Giorgos Vassiliades, following in his ancestor’s footsteps, he cultivated exclusively his own wine from his vineyards. Today the son, Christodoulos G. Vassiliades, tenth generation of wine producers, is fulfilling his dream of revitalizing his families’ tradition. With the knowledge, energy and passion of his mentor and a creative eye, he has entered into the magical world of winery, ready to contribute to the glorious wines of Omodos. The dynamic and steady evolution of “Oenou Yi” reflects the personality of its founder. The past – the tradition of Omodos village and the glorious heritage, merges with the present, leading the wine producing culture to a future with great expectations. At an altitude reaching 800 metres – (Laona’s summit) – and 1060 metres – (Afamis’ summit)-, the vineyards of “Oenou Yi” dominate, sealing the wine heritage of Omodos. 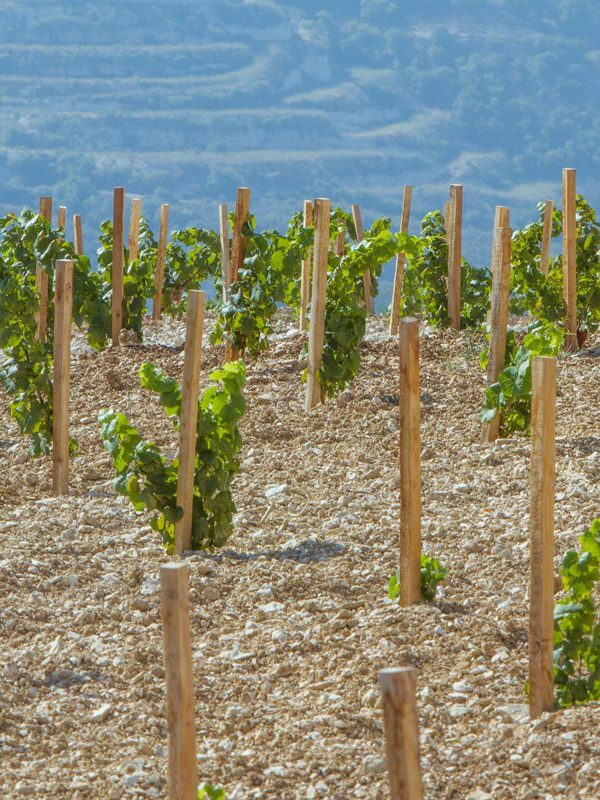 Starting with his father’s own vineyard, and within a period of 15 years, Christodoulos G. Vassiliades Domain cultivates around 1,000 hectares of private land, a number that is expected to increase within the next five years. ‘Euoino’ [from εὖ (eû, “well”) + οῖνος, (oenos, “wine”) – ancient Greek word referring to the one that produces quality wine] Omodos, is fortunate to enjoy the Mediterranean hot dry summers. The grapes are of excellent quality, with harmonious aromas and rich flavours, dating back from antiquity. The ‘terroir’ of Limassol’s Wine Villages was a meeting point for Dionysian thiasus, the followers of the Greek God of the grape harvest and winemaking, who were taught the art of wine-making. The linear steps facilitate the cultivation methods. The stone-walls, made out of traditional stones of Omodos, avoid the erosion of the soil. The existence of the wild aromatic roses prevent nemeses from damaging the vines on the domain. Within the course of time and the long wine tradition, is an irrepressible witness of stubbornness of vines that yield for good harvest in more ‘uneasy’ places. 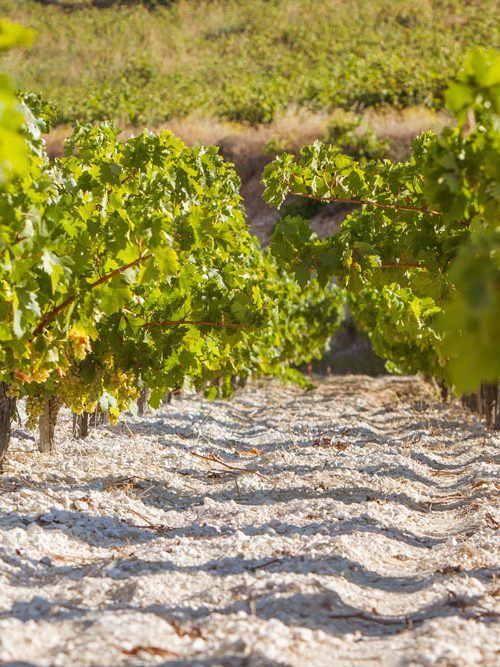 In white limestone, rocky soils of medium consistency, the old and newly planted vineyards spread their roots in search of the much-needed moisture. In the vineyards of the Domain, “Oenou Yi”, which exploit the unique ‘terroir’ of Omodos, the most noble local and international varieties thrive. The local white varieties Xynisteri, Malaga and Morocanella, as well as the traditional red Marathaetiko, Giannoudi, Lefkada and Mavro, bring out their true identity. Alongside, the white international varieties Asyrtiko, Sauvignon blanc, Chardonnay and Semillon as well as the international Red Syrah, Cabernet Sauvignon, Merlot and Grenache, find new ways to reach their full potential. These varieties influenced by their unique natural surroundings, produce wines with complexity, depth of flavour, balance and delightful finish. Christodoulos G. Vassiliades’ chosen associates, with their expertise and clear objectives, blend traditional values with the latest advances in viticulture, guarantee the continuation of tradition of Omodos. So indulge yourself in this unique experience that promises the wine of “Oenou Yi”.